Ferrari and Sebastian Vettel surprised the Formula 1 community during the winter testing when the German driver was setting the pace behind the wheel of the SF70H. However, after a fierce and hard-fought 2017 Championship season, the title slipped away from the hands of the quadruple champion. A series of incidents, misfortunes and some reliability woes hindered the German to capitalize on the pace of Ferrari’s 2017 masterpiece. Since 2014, the inception of the double-hybrid era, Mercedes was holding the rein and seized upon the new engine formula. Between 2014 and 2016, over a stretch of three seasons, the German-Anglo squad won 51 of 59 races which outmatched the results of former golden eras of the McLaren, Williams and Ferrari. With sensational point tallies of 701, 703 and 765 championship units, it secured the title in the Constructors’ Championship long before the end of the seasons. 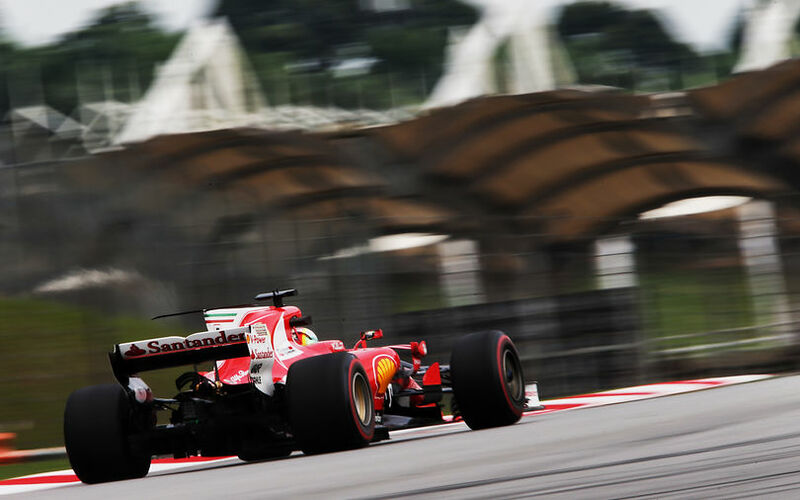 However, Ferrari showed a thrilling turnaround, redemption and resurgence over the last winter. That followed a rather torrid, unsuccessful championship season when the fabled Scuderia failed to score a win. The thorough reorganisation inside the team, a bunch of young, talented engineers, two motivated drivers, better atmosphere, a more relaxed working environment enabled the team to excel again and pose a real challenge to the humiliating dominance of Mercedes. Vettel turned up at Albert Park, Melbourne for the season-opening race and won starting from second place. With that victory, he took the championship lead which he kept until the beginning of autumn. In Malaysia, the German grabbed the second place in the qualifying session. The race started on a drying, but still damp track. The German made an early pit stop, but the following safety car period sent him further back the field. He showed a race winning pace to come back to second place. 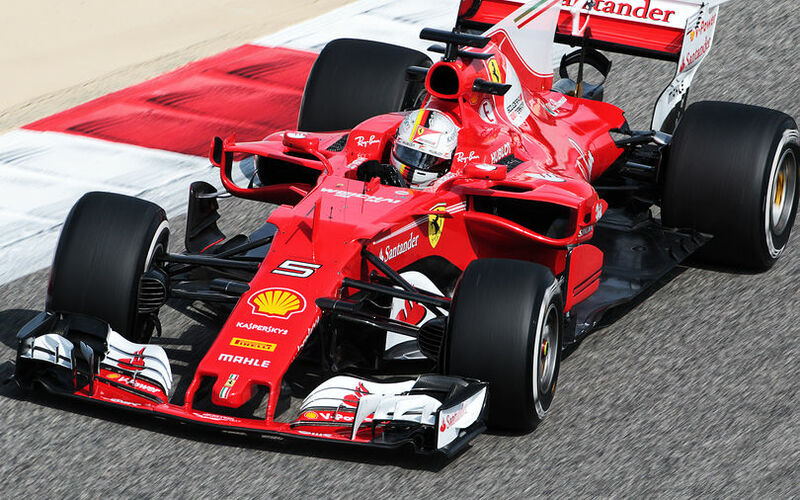 In Bahrain, the one-lap pace of the Ferrari SF70H was no match to Mercedes’s dominating speed, but the Italian machinery came alive in the race. Even despite an unfortunately timed safety car period, the German took a dominant victory in the desert. In the following Russian GP, Vettel took pole position in a thrilling qualifying session, but he let Valtteri Bottas through after the start when the Nestola-born driver made benefit of the tow behind the Ferrari. Vettel could not keep up with Mercedes’ pace on the long straights in the opening stint, but he did not give up and came back for the closing minutes of the GP to drive Bottas crazy. Because of the superior straight line speed of Mercedes, Bottas could hold the lead somehow. In the qualifying for the Spanish Grand Prix, Vettel missed pole position by a mere 0.051 seconds. In the race, he had race winning speed again, but Valtteri Bottas, playing the dummy, held up the German and a virtual safety period meant that Vettel lost an incredible amount of 14 seconds which saw him losing the win in Montmelo. Two weeks later, in Monaco, Ferrari were in a class of their own, with Vettel taking yet another victory, at the cost of his team mate who was left with a bitter taste in the mouth after losing first place in the pitstops. Another two weeks later, Canada was host to Formula One, with a circuit that is completely different to the twisty tights of Monaco. Vettel was unable to match Hamilton in qualifying. A better start could have undone things, but the first of a number of incidents with Max Verstappen saw him set for an early stop. While the recovery was impressive, the resulting fourth place finish was less than the team had hoped for beforehand. The race at Baku, on a circuit featuring a long straight that played into the advantage of Mercedes, Vettel bumped into Hamilton behind the safety car. The much debated incident made little difference in the title race, as Vettel's 10-second penalty was compensated by a loose headrest and an extra pitstop for Lewis Hamilton. Austria saw Bottas take a close victory over Vettel, while Silverstone was a walkover for Mercedes. When the field headed to Hungary for the final race of the season, Ferrari got its act together again and showed dominance both in qualifying and race pace which it last showed in its last title winning year in 2007. Vettel’s victory was certain, despite a steering issue in the second half of the race. After the summer break, the title fight was complicated as Red Bull Racing had upped its game considerably, frequently getting into the mix. Ferrari and especially Vettel had the better race pace in Belgium, but a safety car seemed to spoil the German's party. A single week later, more of the same, as Hamilton won the Italian Grand Prix on Ferrari's home soil. It was the first time that the Mercedes driver went into the lead of the World Championship ranking of 2017. In Singapore, Vettel dominated qualifying as expected, and looked set for another victory at one of his stronger venues, but the start of the race soon put an end to that. An ambitious Max Verstappen clipped the right rear tyre of the fast starting Kimi Räikkönen and a too aggressively defending Sebastian Vettel meant the trio was forced to retire from the race. In Malaysia, Sebastian Vettel displayed blistering speed on Friday, but one that he failed to convert in a strong result. A technical issue with the power unit during qualifying meant a start from the back of the grid. A strong drive resulted in a fourth place finish, but it once again saw the gap to Hamilton increase. Vettel only grabbed the second place in the qualifying for the Japanese Grand Prix, but his Friday long runs indicated he has race-winning speed. However, a malfunctioning spark plug of the value of 59 EUR meant he did not have the right amount of engine power and was forced to retire from the race after a few laps. 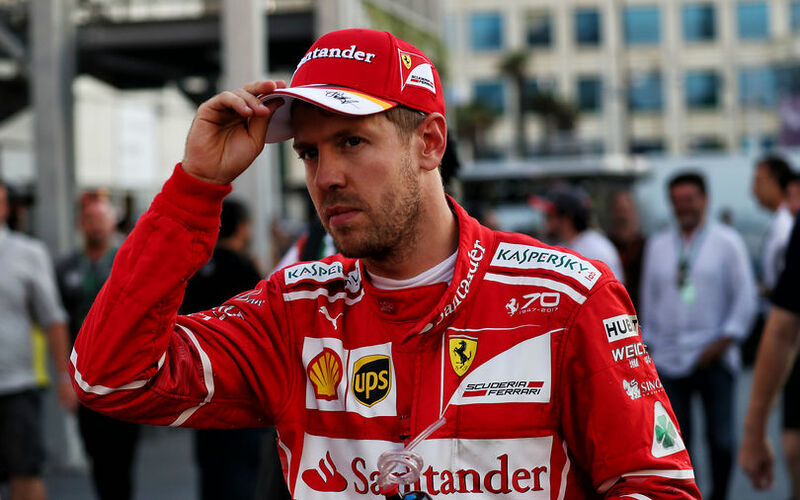 In Austin, the German was dogged again by reliability woes in the Friday practice sessions, he could not fine-tune his SF70H and had to be content with the second place on race day. In Mexico, on a track which has favoured Mercedes and Red Bull in the previous years, Sebastian Vettel drove a breath-taking lap in the qualifying session to set a lap record and take the pole position. A too ambitious Max Verstappen, driving off the track, overtook the Heppenheim-born champion between the first and second corner who then collided with Lewis Hamilton in the next turn. Vettel stromed through the field again, coming from the 19th position, he ended the 18th round of this year’s world championship in the fourth place. He showed dominant pace and lowered the previous race lap record by a country mile. With two races to go, a dream ended for Sebastian Vettel: Lewis Hamilton secured his fourth title in the Mexican Grand Prix, joining the exclusive club of Alain Prost and the German. In 18 GPs up to this point of the Championship, Sebastian Vettel was elected the best driver of the day by the fans seven times. A stunning number. No other driver is close to him. Ferrari now has to prove whether it can keep up the flow by designing a winning material for its world champion drivers Kimi Räikkönen and Sebastian Vettel for the 2018 Formula One World Championship. In terms of raw speed, the team only has to repeat what it has done for this season. However, it has to find remedy for its reliability woes and pray for more luck and a less incident-packed season to bring back the success which Maranello rightly and fully deserves.